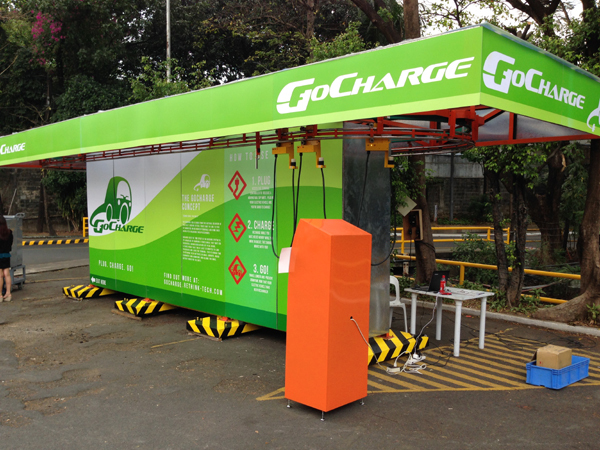 Department of Energy (DOE) secretary Alfonso Cusi said on Tuesday, Feb. 23, the agency is closely studying the viability and safety of e-vehicle charging terminals in gasoline stations. Cusi cited the importance of the ground-laying work being done by an Ad-Hoc Technical Working Group (TWG) on the installation of the e-vehicle charging stations. "We want the TWG to study the technical viability of the infrastructure, evaluate its safe operations by assessing the necessary protocols and standards, and to determine required policies and its supporting legal basis," said Cusi. "The Technical Team must make recommendations on the advancement of e-vehicle charging stations and related infrastructures, such as other viable options for locations like malls and other establishments." Cusi said safety and accessibility are also major considerations on where to put up e-vehicle charging stations. Cusi created the TWG to determine the suitability of gasoline stations as charging areas for electric or e-vehicles with the emergence of the electric vehicle industry in the Philippines. The DOE is in the process of drafting a circular for the policy guidelines in the overall development and increased utilization of alternative fuels and energy technologies, which includes the e-vehicle industry. "I have to stress that this venture should be in compliance with existing environmental, safety and other relevant rules and regulations," he added. "Apart from increasing public awareness, the DOE in coordination with relevant government agencies will create an environment for the equitable and non-discriminatory access for alternative fuels and energy technologies with a preference for indigenous ones," Cusi said.